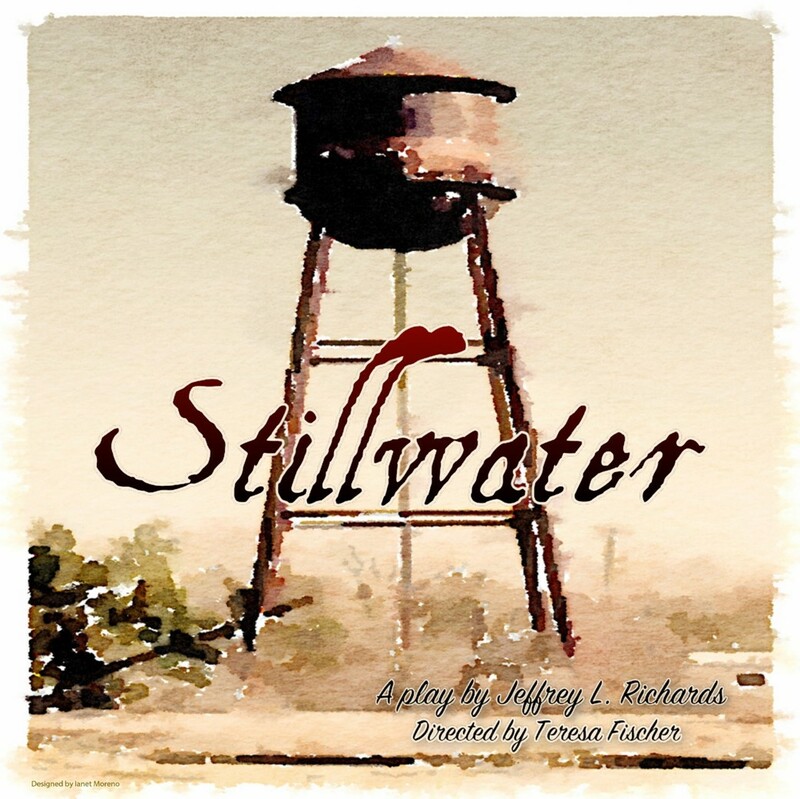 The play’s pivotal mystery of whether or not Eli will fulfill his mother’s request, however, is only one tense sub-theme of “Stillwater”. As the play progresses, several Haslip family secrets, as well as personal secrets of the characters, are revealed– including one revelation that threatens the nascent relationship between Eli and Carl. The resultant emotions seem to explode from the stage. While the entire play is unyieldingly provocative, these moments of high passion– including “Stillwater”‘s astonishing climax– are actually almost painful to watch. Teresa Fischer’s subtle direction of “Stillwell” really works to the play’s advantage, allowing all four actors to perform the theatrical equivalent of “filling the frame” of a still photograph. In a challengingly unsympathetic and unglamorous role, it’s a testament to Amy Losi’s acting ability that she gives a commanding performance even though her character Lettie-May never gets out of bed. Noah Mefford’s Carl starts out as a pleasant sight for sore eyes, but his role becomes deeper and more nuanced as the play progresses. As Saundra, the family maid who became Lettie-Mae’s 24-hour caretaker, Monica Hope is an intensely delightful presence. As the only character in “Stillwater” who doesn’t have to confront her personal issues, Hope’s Saundra adds natural levity with her warmth, sass, and earthy attitude. Lastly, as the haunted protagonist Eli, Tim Rerucha meets the challenge of being on stage the entire running time and conveying his character’s substantial personal trials throughout. It’s a challenge he meets, the audience will agree, very well. “Stillwater” continues Saturday, January 16 at 1PM and Sunday, January 17 at 6PM at The Hudson Guild Theater, 441 W. 26 St., NYC. Visit http://www.brownpapertickets.com/event/2461158 for tickets and http://venusnytheaterfestival.com/the-theater/ for more info.